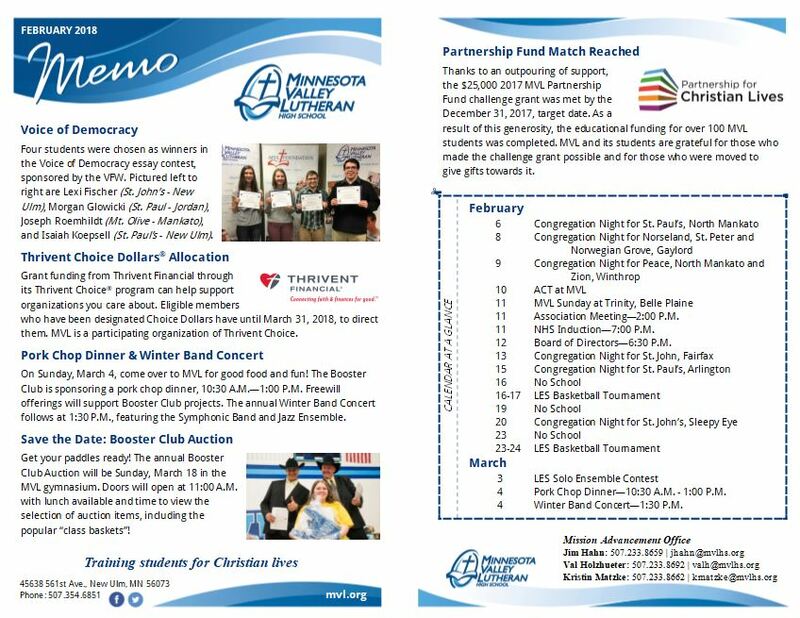 While the Memo is a bulletin insert created for MVL’s Association congregations, it includes points for interest for the whole MVL family and community. The Memo is produced monthly, except for those few months when a HiLites is produced. It features student updates, upcoming events, and other exciting news about the high school.